Aardhiya, who is six-years-old now, and Aakriti (4) were present Friday in Ludhiana’s Christian Medical College and Hospital (CMCH) where the hospital was celebrating 150 blood stem cell transplants. Aradhiya Taneja was diagnosed with Thalassemia a few months after her birth. However, it was only at the age of four that her family, from Tuhana in Haryana, decided to go for stem cells transplant. The donor was none other than her two-year-old-sister Aakriti. The siblings were also present at the occassion. “We got funds from Prime Minister relief fund. Despite that we spent over Rs 20 lakh and hence expenses were a reason to wait for few years,” said Kuljit. However, it is not the case that stem cell donors are always siblings. Dr Shruti Kakkar was the donor to a child from Mumbai, whom she did have any relation to. Dr Kakkar is based in Ludhiana and she recently met the recipient child in Bangalore. Over 30 donors and recipients had come to celebrate the occasion of successful transplants where children also presented cultural programe. While above mentioned patients were lucky enough but Jasnoor Deol is a 20-year-old blood cancer patient in Canada ( with Indian roots) who urgently needs a bone marrow transplant. The family is preparing to arrange donor registration drives across Punjab, told CEO of DATRI, Raghu Rajagopal. DATRI is an organization which registers stem cell donors. 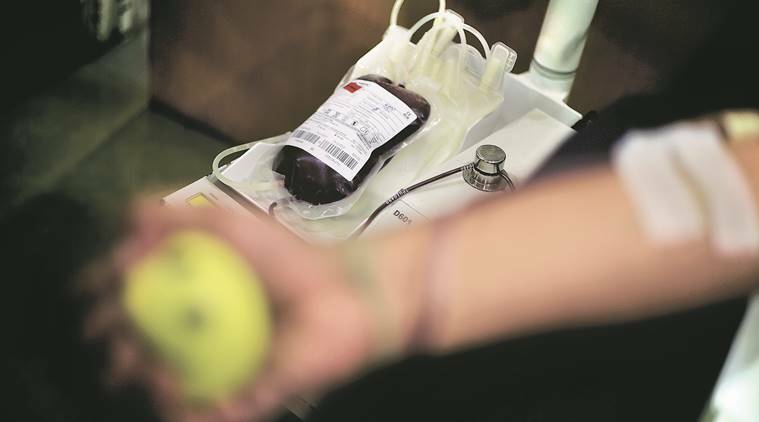 “There are a huge number of patients suffering from fatal blood disorders like blood cancer and Thalassemia Major. The only chance to receive a second chance at life is bone marrow transplant. Every year nearly 10,000 children are born with Thalassemia Major in India and Punjab is one of the leading states with higher number of cases. These children need a regular blood transfusion to lead a normal life and their life expectancy is around 25 years on an average,” he said. Renowned Haematologist in India, Dr Mammen Chandy was the chief guest of the occasion .The year 2019 also marks the 125th anniversary (Quasquicentennial) of CMCH’s inception in Ludhiana, told Dr William Bhatti, Director of CMCH.